Stream anime episodes online for free, Watch One piece Episode 27 English version online and free episodes. Anime Episode guide One piece Episode 27 English dubbed Here We Go A Ghin Ghin finishes off Pearl, claiming that he wants to kill Sanji himself. 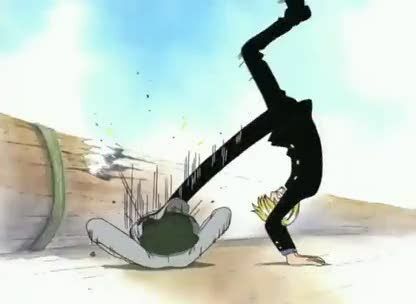 Still wounded, Sanji faces Ghin while Luffy attacks Don Krieg.